Join us in taking on a cycling challenge to raise money for the Katie's Legacy fund. 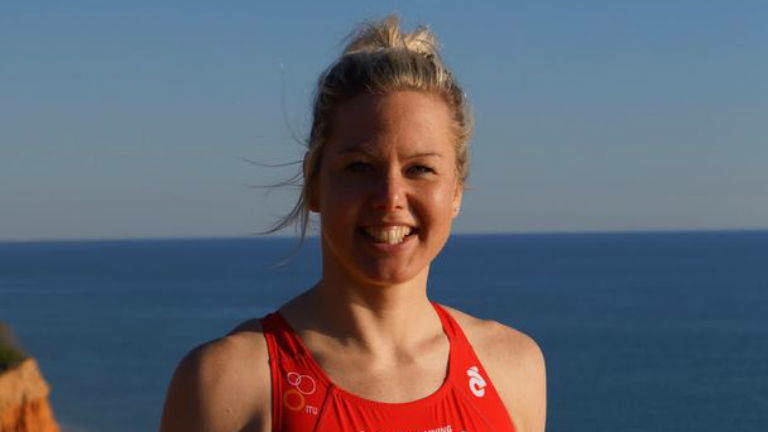 Katie Henderson was a highly successful swimmer and triathlete who won numerous Age-Group races, took part in the elite British Triathlon Super Series, won an ITU World Age Group medal and achieved a 3rd place medal at the Ironman 70.3 World Championships. Katie became a member of the Tri Training Harder Race Team and was recognised as one of the best swimmers in the sport. She had also been selected as one of four guides for visually impaired triathletes training for the Rio 2016 Paralympic Games and she often spoke of her great admiration for the British Para-Triathlon team. In 2015, Katie was tragically killed in a multi-vehicle collision whilst travelling to Ironman 70.3 Staffordshire. Her family and friends have kept Katie's talent, spirit and beauty alive by helping the next generation to embrace the sport she simply adored. All funds raised through this event will be used by the Triathlon Trust to organise and deliver free triathlon events for schoolchildren, in particular those who may not normally be introduced to the sport. In this way, Katie’s legacy lives on. We invite you to take on an Everesting Challenge on Burrington Combe, in the Mendip Hills, on Saturday 14th September. What is an Everesting Challenge? The idea is to cycle the vertical height of Mount Everest in one day, by riding repeatedly up (and down) the same climb, that's 8,848m of vertical ascent...or in the case of the hill we've chosen, 38 times up (and down) it, completing a total distance of 306km. If you complete it solo, then you can apply to enter the 'Everesting Hall of Fame' and as no one has completed an Everesting on this particular climb, we could immortalise #KatiesLegacy in to the record books. We will be using the Burrington Inn as a 'base camp' for the event, which is situated near the bottom of the climb. There is no entry fee to this event, we simply ask that everyone who participates creates a fundraising page to raise funds for Katie's Legacy. It's quick and easy to set up - to get started click the button below. If you don't fancy taking on the challenge personally, but have been inspired to make a donation to the Katie's Legacy fund, then you can do so on the Katie's Legacy JustGiving page by clicking here. Alternatively, if you want to join in the fun and raise funds for this cause but are located in another part of the country, why not complete your own Everesting challenge on a hill more local to you on the same day? Good luck...and in the words of George Mallory, why are we doing this? "Because it's there"